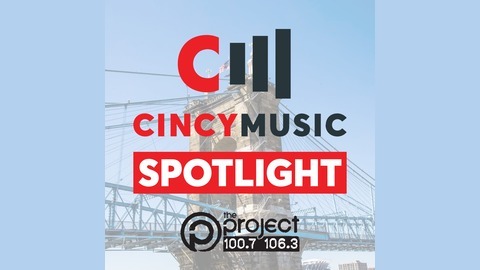 The CincyMusic Spotlight is a weekly local music show on The Project 100.7 / 106.3 that features a mix of the region's most talented musicians and a recap of local music news from CincyMusic.com. The show features prominent local music veteran Venomous Valdez. 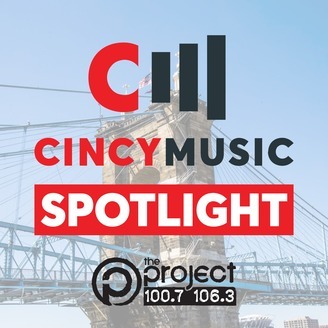 You can catch us on the air every Sunday night at midnight on The Project 100.7 / 106.3.
hy ridge hay - "Hollywood Conformity"; Tonefarmer - "Before You Go Away"; Roosevelt - "These Are The Steps"; Zebras in Public - "Honeybee"; In the Pines - "So Cool"; Knotts - "Until You"; The Borderline Something - "Gravity"; Eric Nally - "Ruby"; Chris From Space - "Super Mega Turbo Chick"; Jackson Fields - "All At Once"; Go Go Buffalo - "Poison Patrol"; Motel Faces - "Screw"; Hello Lady - "Bombshell"; ROOM FOR ZERO - "Come On Come On"; Saving Escape - "Indigo Road"